Ethnic Estonians constituted 88% of the population, with national minorities constituting the remaining 12% prior to World War II. The largest minority groups in 1934 were Russians, Germans, Swedes, Latvians, Jews, Poles, Finns and Ingrians. The share of ethnic Estonians in the population resident within defined boundaries of Estonia dropped to 61% between 1945 and 1989. At the end of the 1980s, Estonians perceived their demographic change as a national catastrophe. Modern Estonia is a fairly ethnically heterogeneous country. Non-Estonians are concentrated in two of Estonia's counties. Thirteen of Estonia's 15 counties are over 80 percent ethnic Estonian, the most homogeneous being Hiiumaa, where Estonians account for 98.4% of the population. The smallest of the Baltic countries in Northern Europe, The Republic of Estonia is bordered to the north by the Gulf of Finland, to the west by the Baltic Sea, to the south by Latvia, and to the east by the Russian Federation. Estonia is a democratic parliamentary republic with Tallinn as capital. It is one of the least-populous members of the European Union. Estonia's economy was second worst hit of all 27 European Union members in the 2008 – 2009 economic crisis, contracting sharply in the first quarter of 2009. Along the eastern shores of the Baltic Sea, Estonia lies immediately across the Gulf of Finland from Finland. The average elevation reaches only 165 feet and the highest point is the Suur Munamägi in the southeast at 1,043 feet. The coastline is marked by numerous bays, straits, and inlets. The number of islands and islets is estimated at some 1,500. Two of them are large enough to constitute separate counties: Saaremaa and Hiiumaa. Estonia's land border with Latvia runs 165 miles; the Russian border runs 180 miles. Estonia lies in the northern part of the temperate climate zone and in the transition zone between maritime and continental climate. Estonia has four seasons of near-equal length. July is the warmest month while February is the coldest month. 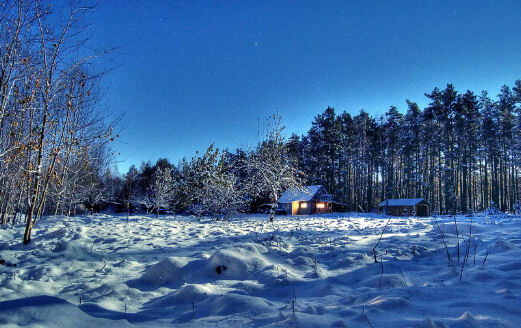 Snow cover, which is deepest in the southeastern part of Estonia, usually lasts from mid-December to late March. Estonia is shared between the Central European and Eastern European provinces of the Circumboreal Region within the Boreal Kingdom. The territory of Estonia belongs to the eco-region of Sarmatic mixed forests. The Jägala Falls is Estonia's largest waterfall. 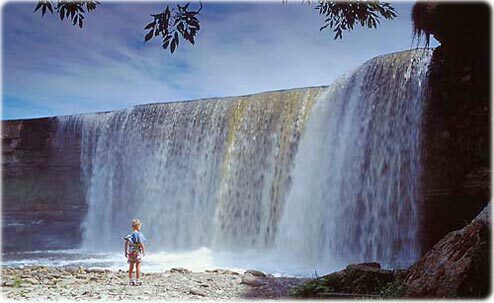 During cold winters, Jägala Falls gets iced up and is an interesting place to go. 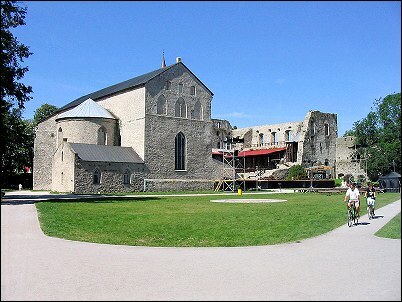 It is located near Tallinn, the capital of Estonia. The five renowned national parks are Karula National Park; Lahemaa National Park, (east of Tallinn, with 386 sq. miles of bays, peninsulas and forests); Matsalu National Park; Soomaa National Park, (with peat bog formed from glacier melt around 11,000 years ago); Vilsandi National Park, (covering 91 sq. miles including 62 sq. miles of sea and 29 sq. miles of land, plus 160 islands and islets). The oldest known settlement in Estonia, located on the banks of the river Pärnu, near the town of Sindi, is estimated to have been established at the beginning of the ninth millennium BC. Evidence has been found of hunting and fishing communities around 6500 BC near the town of Kunda in northern Estonia. Invasions by Romans, Baltic tribes, Scandinavian Vikings and others occurred during the Bronze and Iron ages. In the Middle Ages, there were the Livonian Crusades, the Northern Crusades, and Teutonic Invasion. The wars had reduced the Estonian population from about 250- to 300,000 people before the Livonian War to 120- to 140,000 in the 1620s. Estonia came entirely under Swedish rule in 1625. Following the Great Northern War, the Swedish empire lost Estonia to Russia by the Treaty of Nystad. Estonia became independent of Russia in 1918. Soviet Russia occupied Estonia in 1940. Subsequently, Germany conquered Estonia. Soviet Russia re-conquered Estonia in 1944. Estonia declared its independence in 1991. The last Russian troops left in 1994. A wide range of evening entertainment is offered by the hundreds of hotels that sprouted after independence was restored in Estonia. This also includes restaurants, bars, and nightclubs. Estonians know their liquors and liquers like their neighbors the Finns and the Russians do. Favorites include the local beer Saku or A. Le Coq, the local vodka Viru Valge (Vironian White) and the surprisingly smooth and tasty rum-like herbal liquor Vana Tallinn (Old Tallinn), famous in the countries of former USSR. A local soft drink is "Kali" (the Estonian equivalent of "kvass"), made from fermented brown bread. It can be described as an acquired taste. Many locals also swear by "keefir," a fermented milk concoction. As exemplified by Estonian language from the Finno-Ugric languages and the sauna, with mainstream Nordic and European cultural aspects, the culture of Estonia incorporates indigenous heritage. Estonia's culture has been influenced by the traditions of the adjacent area's various Finnic, Baltic and Germanic peoples as well as the cultural developments in the former dominant powers Sweden and Russia. 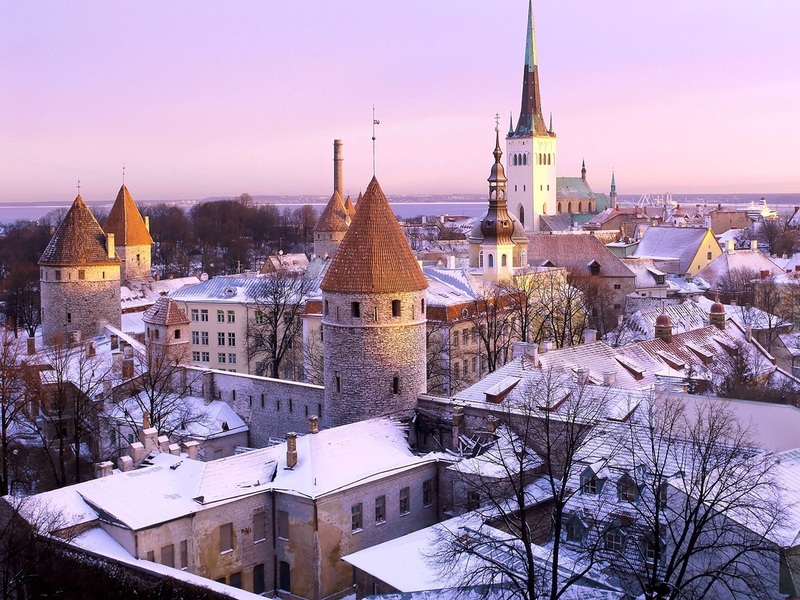 Estonia has been the stage for the merging of western and eastern Europe on many levels. The exceptional combination of a western Protestant and an eastern Orthodox Church is an example of this geopolitical legacy. A largely lyrical form of folk poetry based on syllabic quantity originally characterized Estonian literature. Traditional folk song reached its new heyday during the last quarter of the 20th century. Estonian cuisine is heavily dependent on seasonings and simple peasant foods. It includes many typical international foods. The most typical foods in Estonia are black bread, pork, potatoes and dairy products. Traditionally in summer and spring, Estonians like to eat everything fresh – berries, herbs, vegetables and everything else that comes straight from the garden. It is also very popular to grill outside in summer. Traditionally in winter, jams, preserves and pickles are brought to the table. With Estonia having gone through rough times in the past, gathering and conserving fruits, mushrooms and vegetables for winter had always been essential. Although nowadays gathering and conserving is not that common because everything can be bought from stores, preparing food for winter is still very popular in the countryside and still has somewhat ritual significance. Being a country with a large coastal line, fish has also been very important in the daily menu.